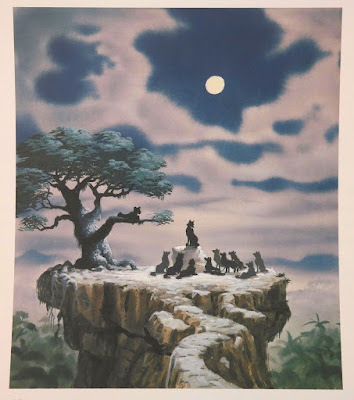 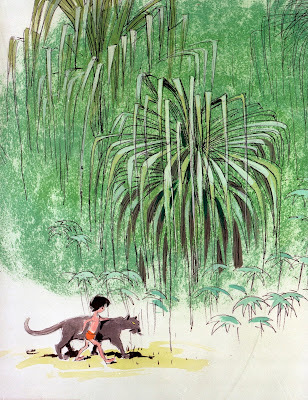 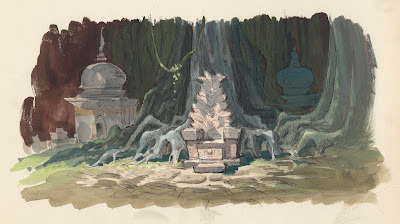 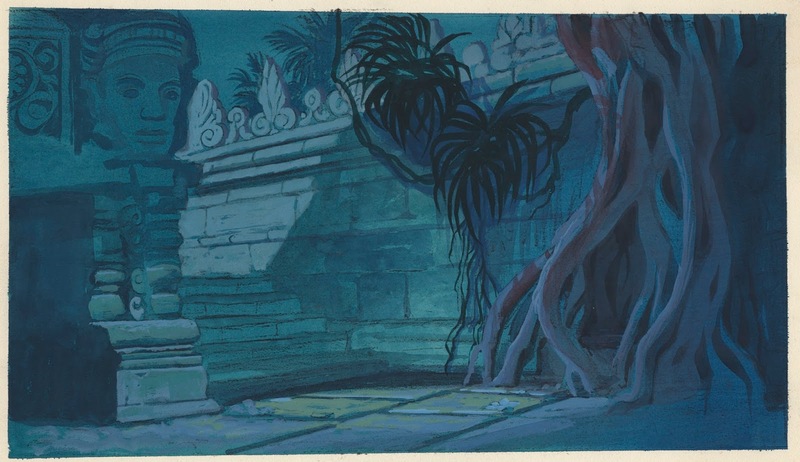 This beautiful concept painting from The Jungle Book was virtually unchanged for the final production painting below. Even the placement of the wolfs remained the same. A very atmospheric scene helped by the slightest clouds movement. 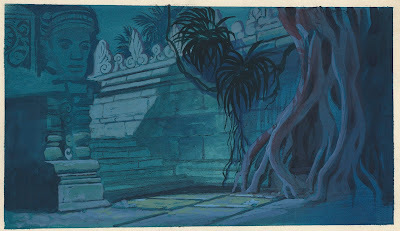 After several films with backgrounds that involved black xerox lines, the Disney painters went back to the earlier painting approach from the 1950s. 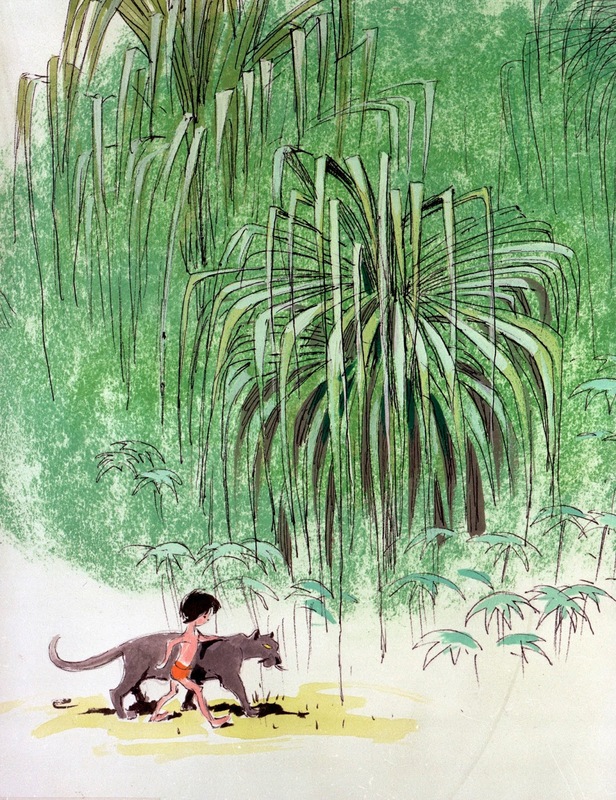 No graphic Dalmatians styling here. 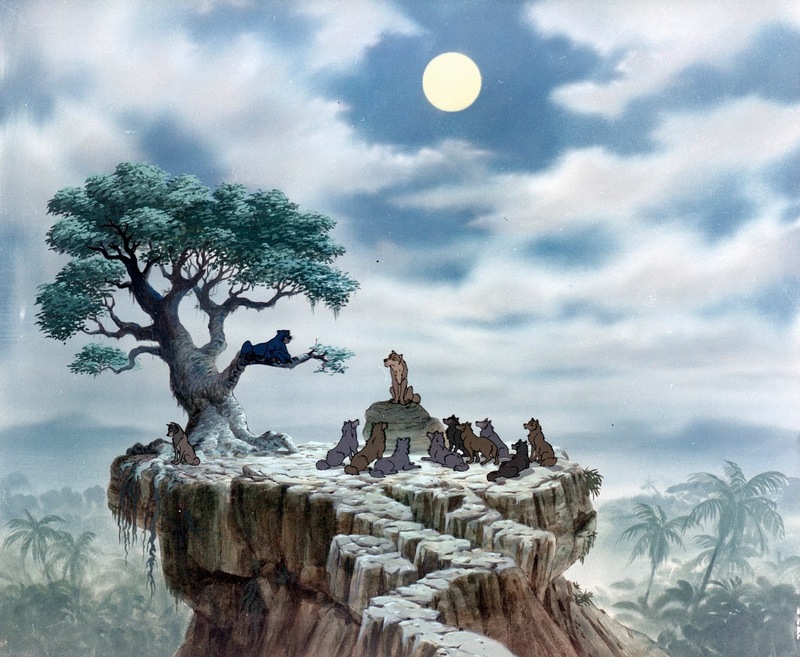 Walt Disney asked his crew for a softer look as far as the Jungle Book backgrounds go. 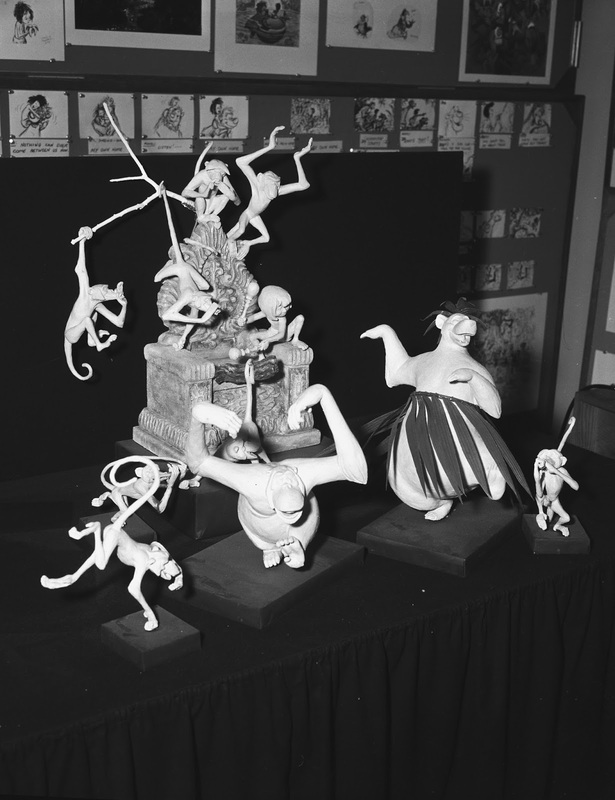 Character maquettes made by studio artists were used in the promotion of the film.